There's a war coming. The same aliens who almost destroyed Earth once are coming back to get the whole job done this time. But we aren't going to just sit and die. The international military is taking our best and brightest to mold them into the finest military minds ever-and they're taking them young. 8-year-old Ender Wiggin is the best they've ever found. Can he save the Earth? Can he survive Battle School and the game that they will force him to play? 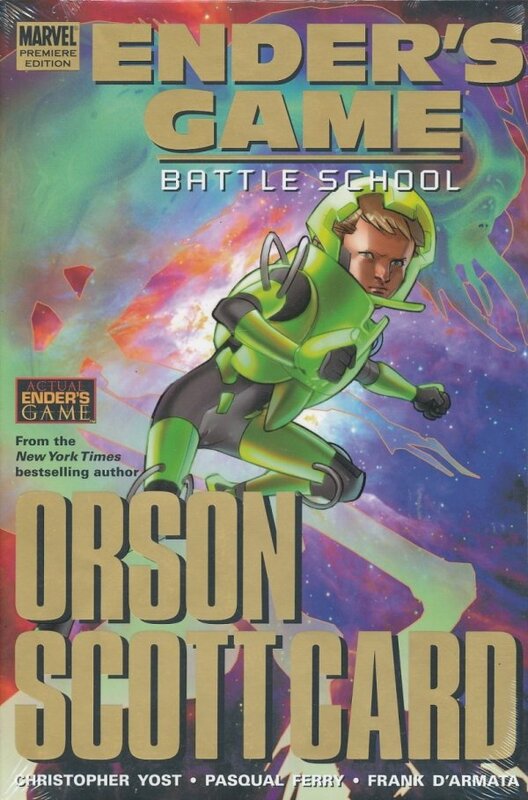 The legendary sci-fi epic by New York Times Bestseller Orson Scott Card comes to comics! Join hot writer Christopher Yost (X-FORCE) and superstar Pasqual Ferry (ULTIMATE FANTASTIC FOUR, ULTIMATE IRON MAN) as they tell one of the greatest science fiction stories of all time.